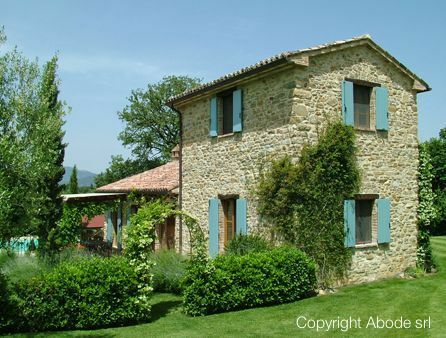 Sue Childs, a teaching assistant from Reigate, Surrey, has the best of both worlds (England & Italy-Umbria) with a 3,250-square foot apartment in a renovated 400-year-old olive mill at Rancale in Umbria. Her two-bedroom apartment, one of eight restored properties, was bought last May for £250,000. Now, it is valued at more than £360,000. Her three children aged 23, 20 and 17, love taking photos of old railway stations and discovering small local bars and caf&Egrave;s. Umbertide is the nearest big town, a 15-minute drive, with ten restaurants and other services. He is selling a restored rambling five-bedroom farmhouse with an outbuilding that could be converted into a guesthouse. It's set among rolling vineyards and olive groves and has views towards Orvieto. Amanda Knox verdict is not universally welcomed!